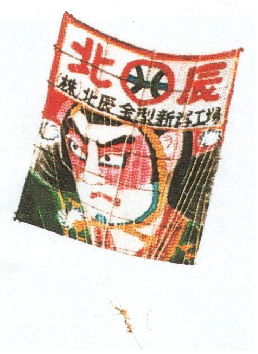 The Giant Kite Battle was originated in the middle of Edo era when the river bank was built up. In celebration of completion of river bank, people in Shirone side (east side) flew a kite but crashed down to the land-field of west side. People in west side got angry and started flying up a kite and crashed it to the east side in return. Many people enjoy this Giant Kite Battle. Our employees attend this battle every year, which puts more energy into our company during this season. Fruit Kingdom was established in Minami ward, Shirone area located in the center of Niigata plains where hard working producers enjoy the fertile land and created the seasonable taste of fruit. You can enjoy many kinds of fruits through the year such as grapes and strawberries. There is a facility where you can eat. Bring your family. You can enjoy all day. 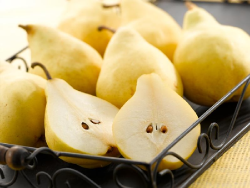 La France is regarded as the greatest pear, which is the representative brand of western pear. Le Rekuche, masterpiece of all kinds believed to be hard to be cultivated has been successfully grown and commercialized in the Shirone-area backed by research, development and all kinds of effort of hardworking people. Le Rekuche, superior to La France, often described as "noble woman of western pears" has its characteristic flavor and its smooth & melting taste. Production volume is not as big as France, but you are sure to be captured once you eat. 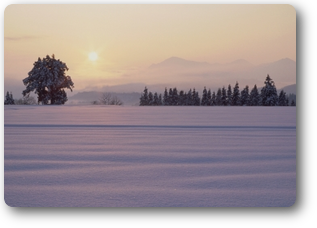 （※）Soukich KOIKE in Shirone was a founder of Le Rekuche by introducing nursery tree from France in 1703. Le Rekuche has been successfully accomplished after long years of tries and errors. What to visit in this area.